Utilizing students’ talent and personality, GoldMindz Entertainment is looking to push local show business even further. Marketing majors, fashion students, recording artists, models and photographers can all be found at GoldMindz. GoldMindz hosts and promotes events in the Dallas-Fort Worth area. 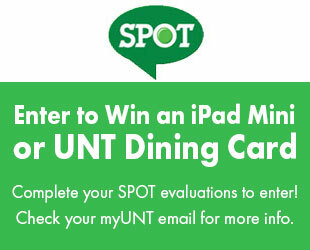 Business junior Joshua Rodriguez said it’s great to have UNT students put together something so innovative. Hampton, 19, said he came up with the concept nearly a year ago, and has made extreme progress since then. He found this a common goal with other students and found a way to put their talents to use. Hampton said GoldMindz wants to venture out and expand the brand in aspects like high-profile events and performances. 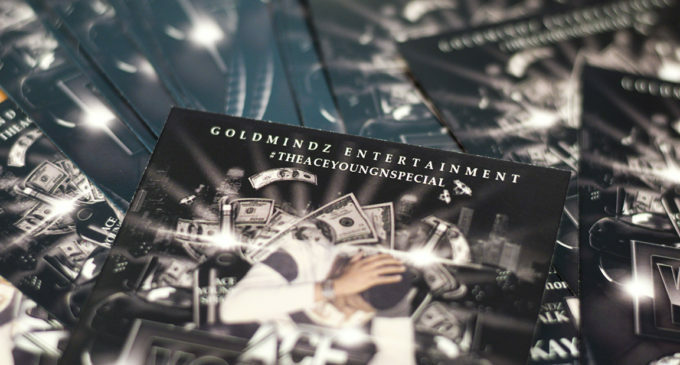 GoldMindz has hosted parties such as DisorUNTation, performed at clubs and emceed weddings. The group uses different types of social media to help promote its work including Twitter, Instagram and SoundCloud. 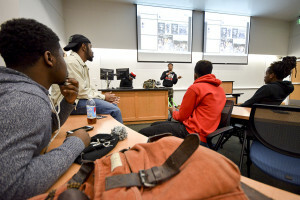 Goldmindz Entertainment CEO Ace Hampton, center, shares his experiences with promoting to the newer members of the group. Hampton wants to leave the UNT group in good hands when he takes his business to other universities in the fall. Radio, television and film sophomore Sergio Martinez said GoldMindz is on the right track, and could do great things with the platform. The students of GoldMindz declare that they are more than colleagues or coworkers. Hampton said they spend time together on campus as well as off campus, while living up to the GoldMindz mission statement. Students can see GoldMindz in action next month at Hampton’s birthday party in Lewisville. The event will feature live performances and professional photographers. With planning like this, Hampton said GoldMindz has already surpassed his expectations.